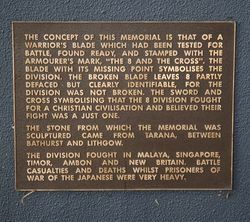 The Broken Blade Memorial commemorates soldiers of the Eight Division most of whom trained at the former Army camp on Limekilns Road. It pays tribute to the many soldiers of the Eighth Division who sacrificed their lives in the Malaya campaign and to the many survivors of the Division who still suffer the effects of the war and the ordeal of Prisoner of War Camps. The column is shaped in the form of a blade. At the broken tip the figure "8" with a sword cross is incised, recalling the grim days of Japan's initial drive to the South on mainland Asia which eventually halted on the very doorstep of Australia. In 2008, a young man accidentally bumped and dislodged the two-tonne piece of granite which fell and shattered beyond repair. 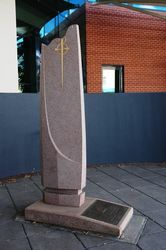 The Broken Blade Memorial was rededicated on the 17th May 2009.
and the Eighth Australian Division, A.I.F. The Concept Of This Memorial Is That Of A Warrior`s Blade Which Had Been Tested For Battle, Found Ready, And Stamped With The Armourer`s Mark, "The 8 And The Cross". The Blade With Its Missing Point Symbolises The Division. The Broken Blade Leaves 8 Partly Defaced But Clearly Identifiable, For The Division Was Not Broken. The Sword And Cross Symbolising That The 8 Division Fought For A Christian Civilisation And Believed Their Fight Was A Just One. 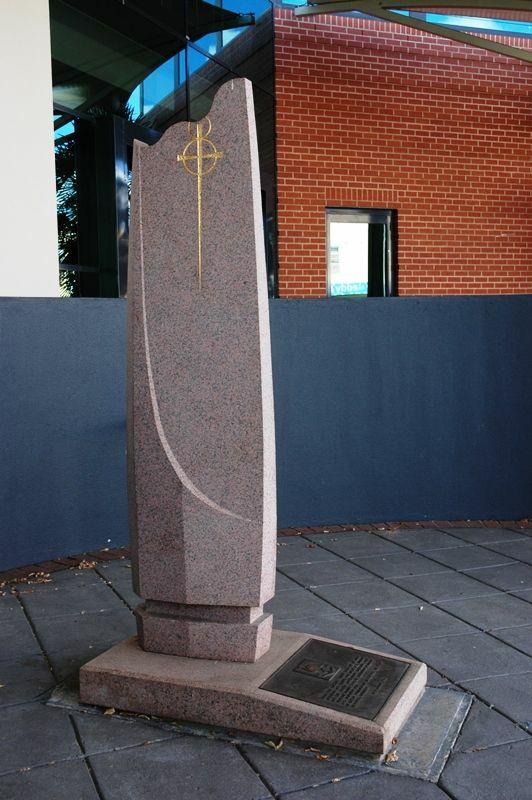 The Stone From Which The Memorial Was Sculptured Came From Tarana, Between Bathurst And Lithgow. 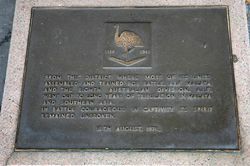 The Division Fought In Malaya, Singapore, Timor, Ambon And New Britain. Battle Casualties And Deaths Whilst Prisoners Of War Of The Japanese Were Very Heavy.